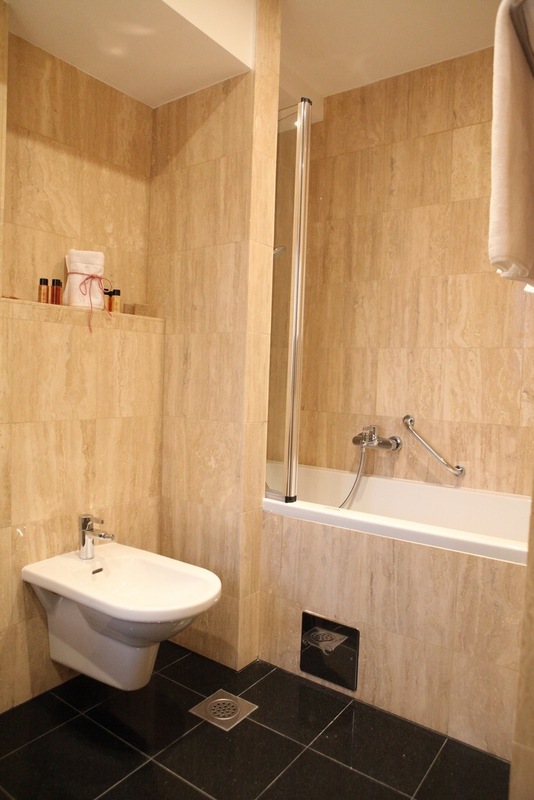 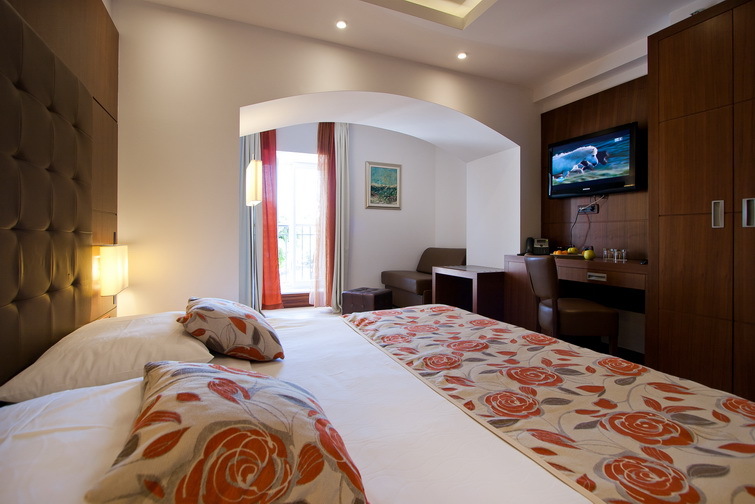 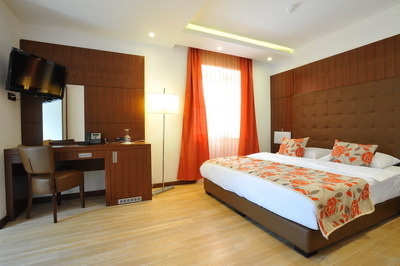 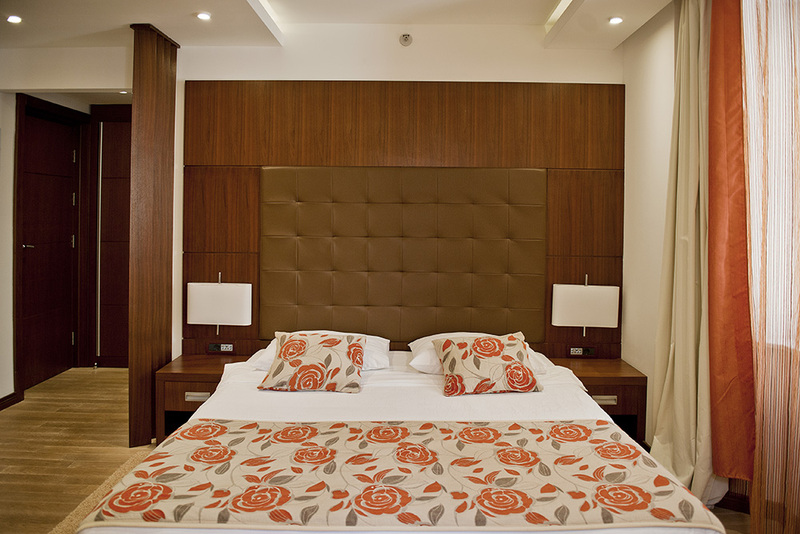 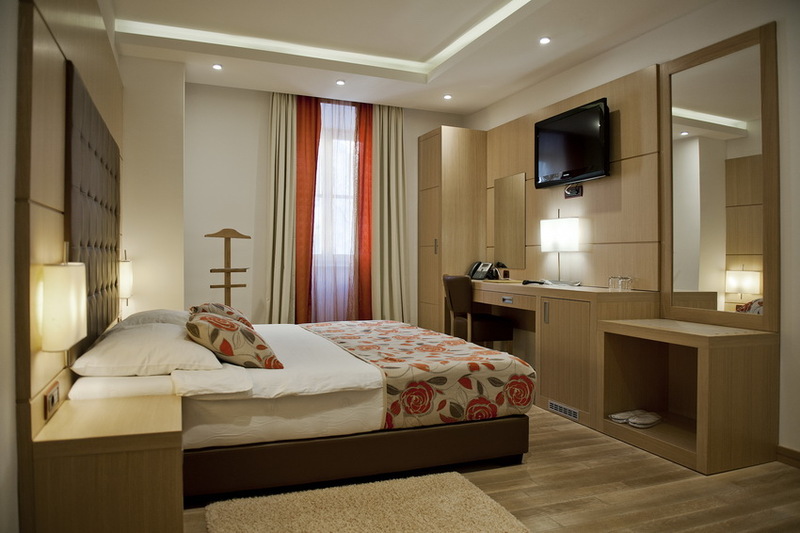 This small, charming and intimate room is ideal for businessmen, travellers taking a short vacation or children. 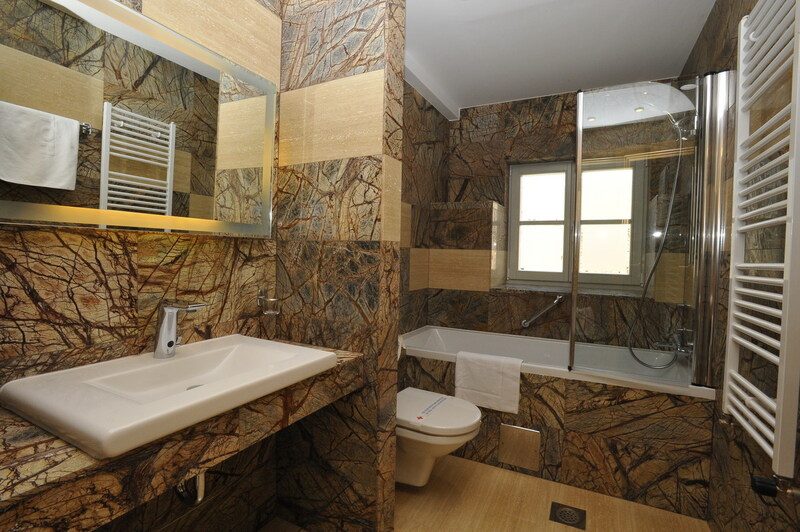 The room is decorated with the highest quality materials such as natural wood and stone. 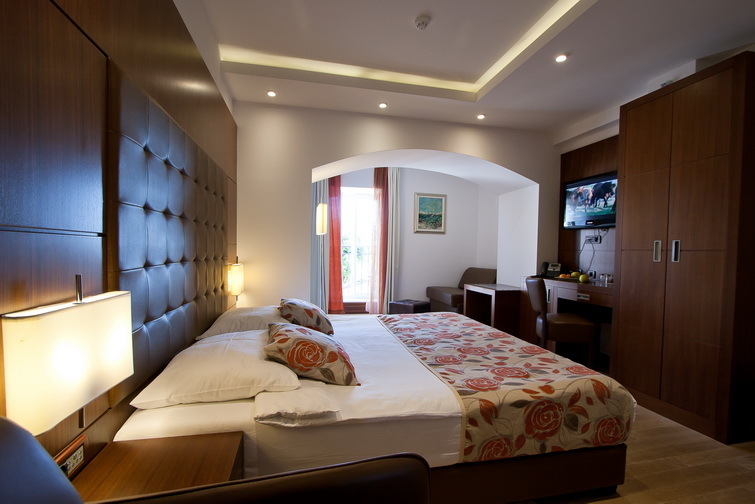 It is equipped with modern smart room technology including air conditioning, LCD TV, mini-bar, hairdryer, direct phone line, WI-FI Internet connection free of charge. 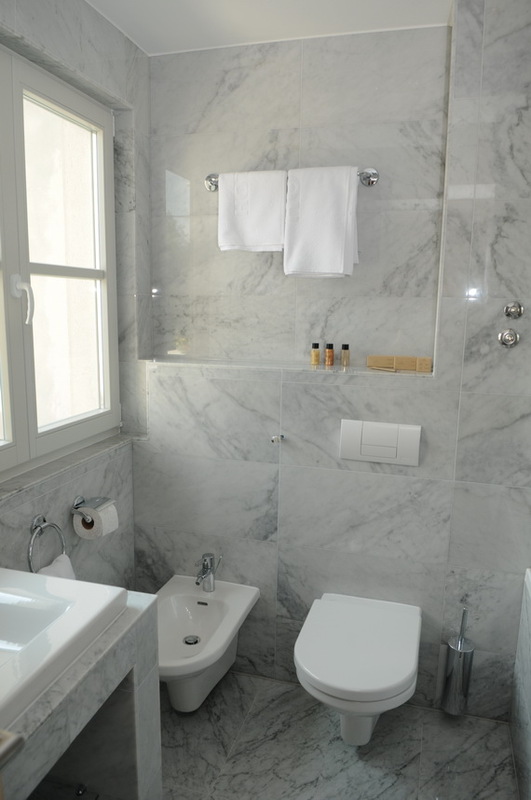 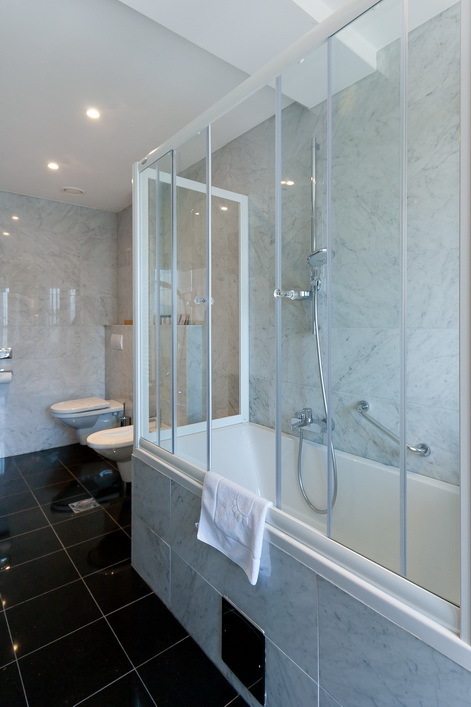 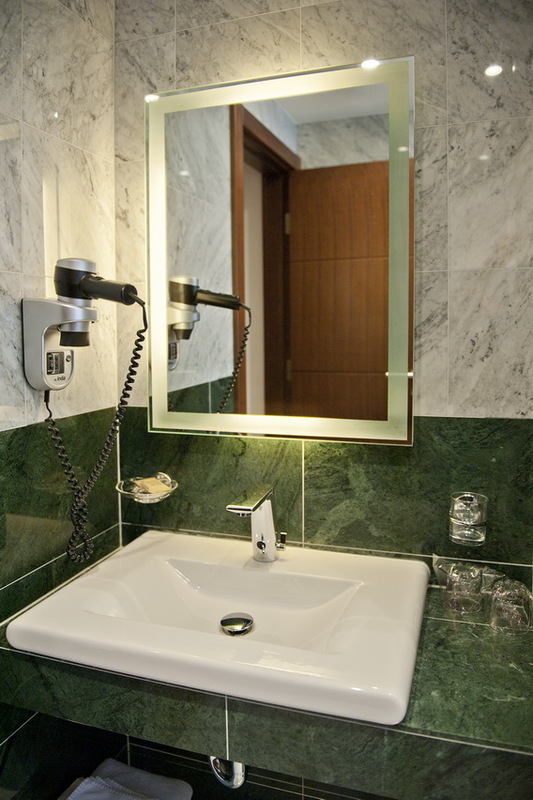 Small and elegant bathrooms decorated with marble are equipped with shower stalls, cosmetic supplies and toiletries to make your sojourn as comfortable as possible. 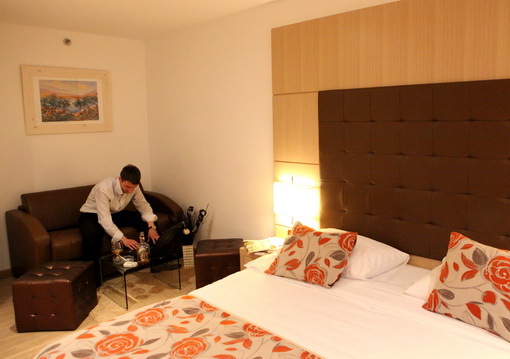 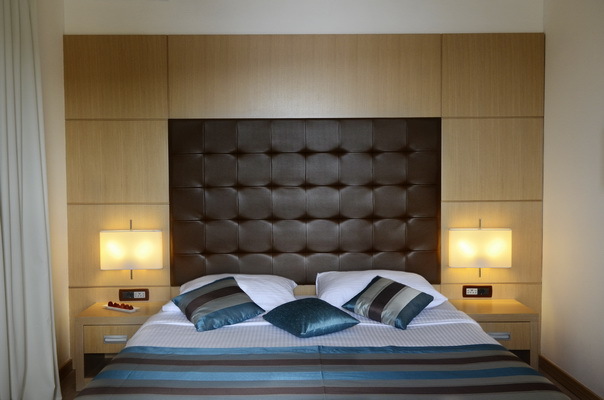 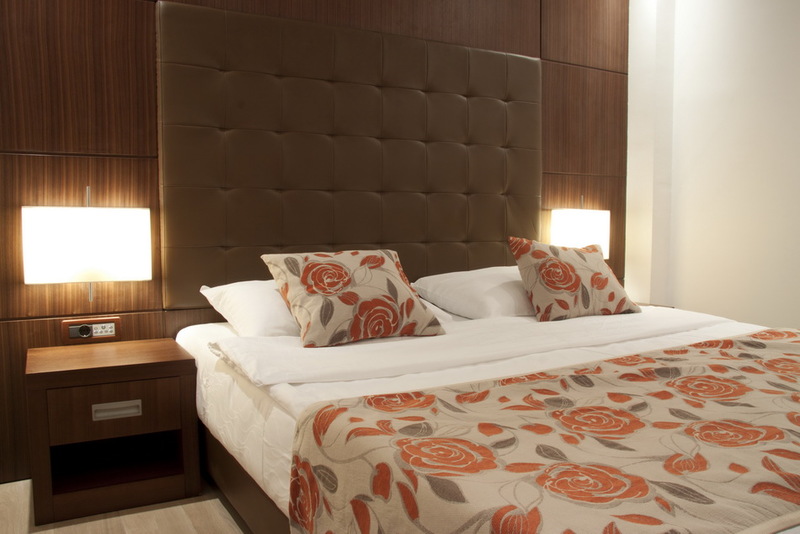 The room has a single bed, but on your request we can also provide the room with French bed for single use. 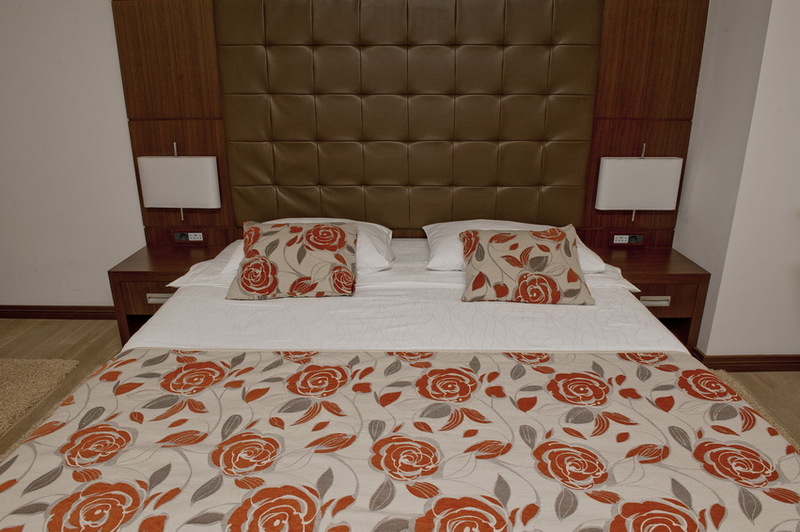 Your sojourn in one of the 6 classic rooms will give you the feeling of warmth and comfort. 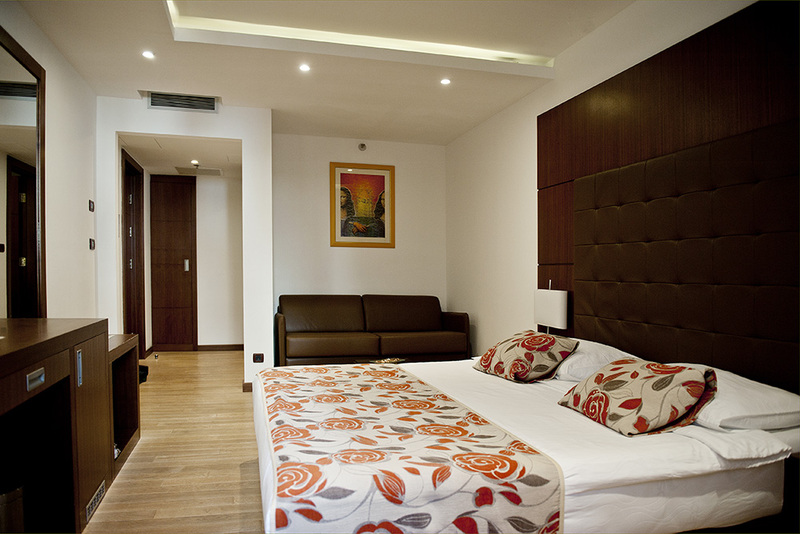 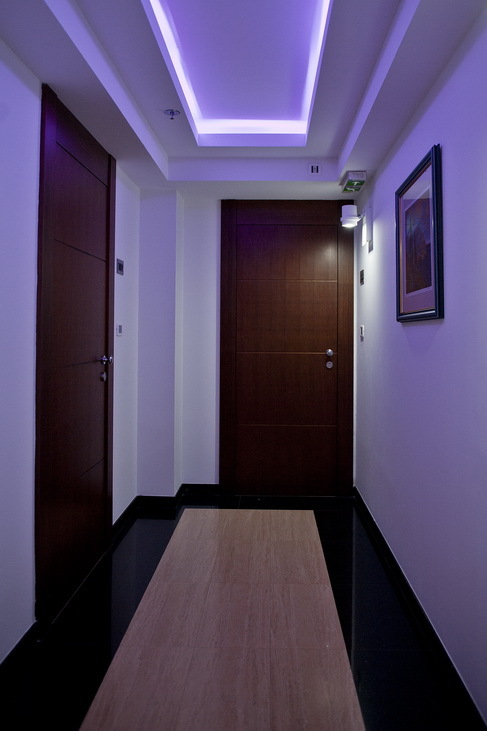 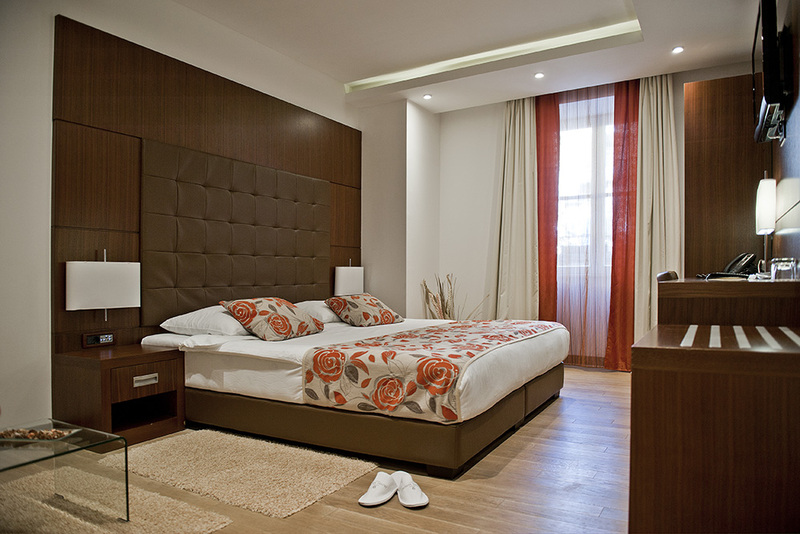 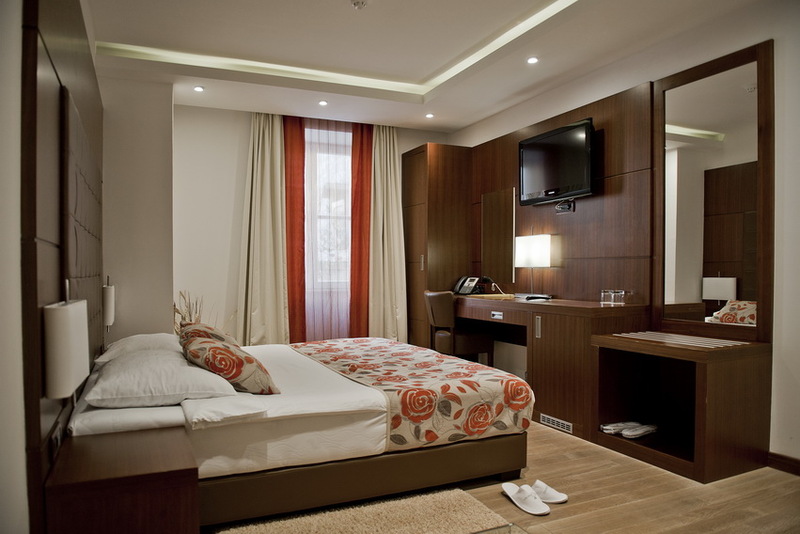 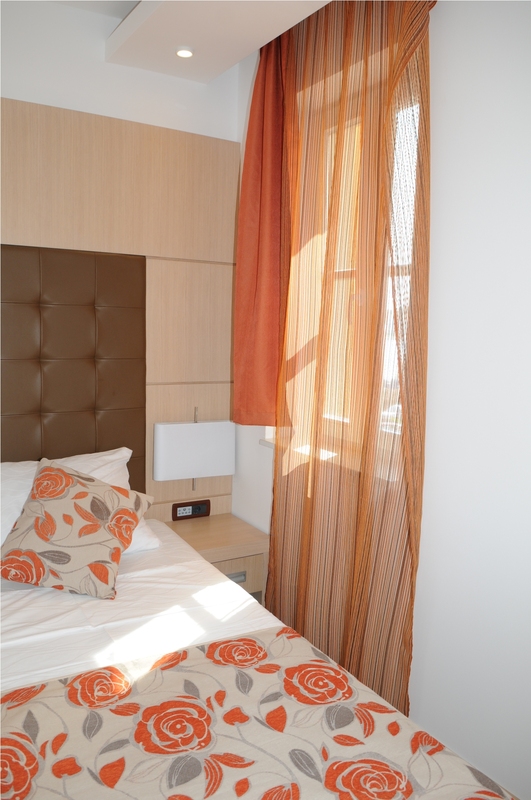 The rooms range in size from 20 to 23 square meters. 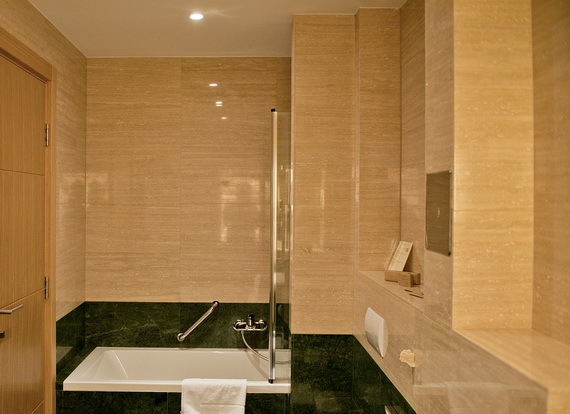 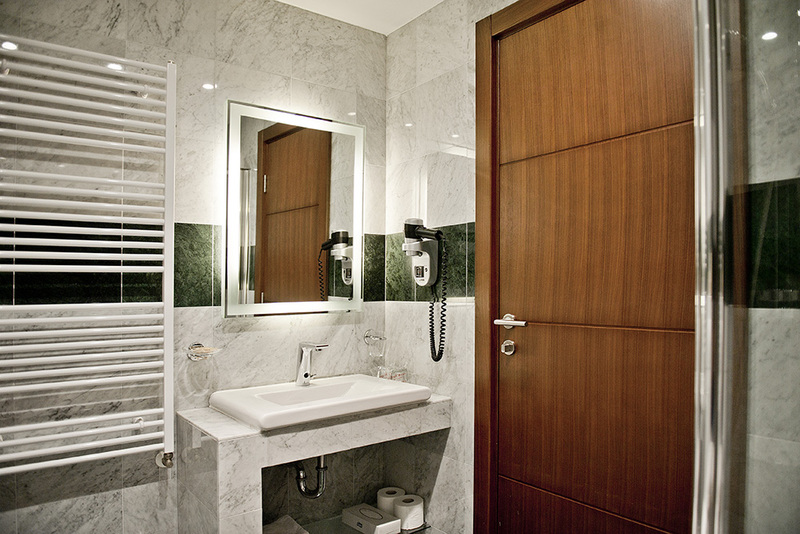 Wooden furniture, rustic floors and bathrooms decorated with marble will give you the feeling of luxury you deserve. 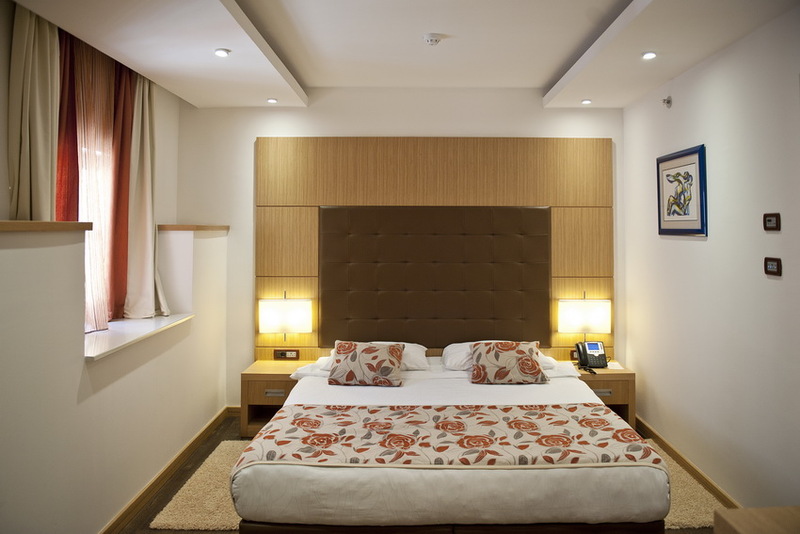 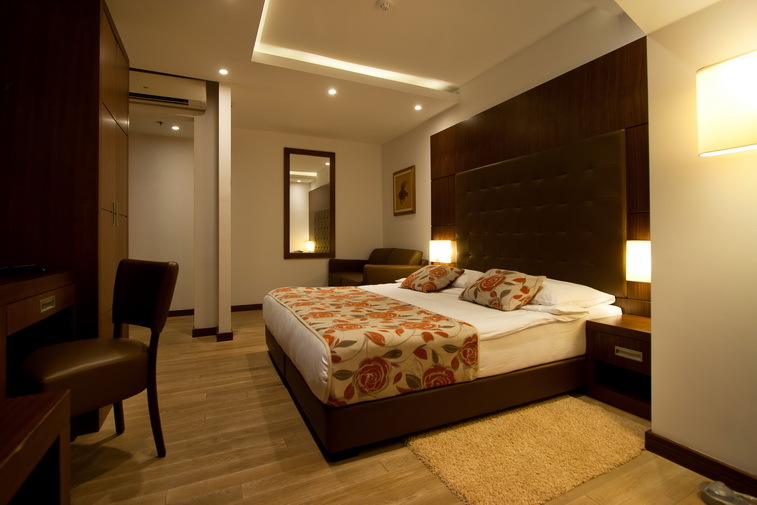 Modern smart room technology, air conditioning, safe-deposit box, LCD TV, mini-bar, direct telephone line, WI-FI Internet connection free of charge, elegant bedding, cotton towels, hygiene kit, hairdryer, shoe cleaning kit, will provide you with a peaceful and relaxing sojourn. 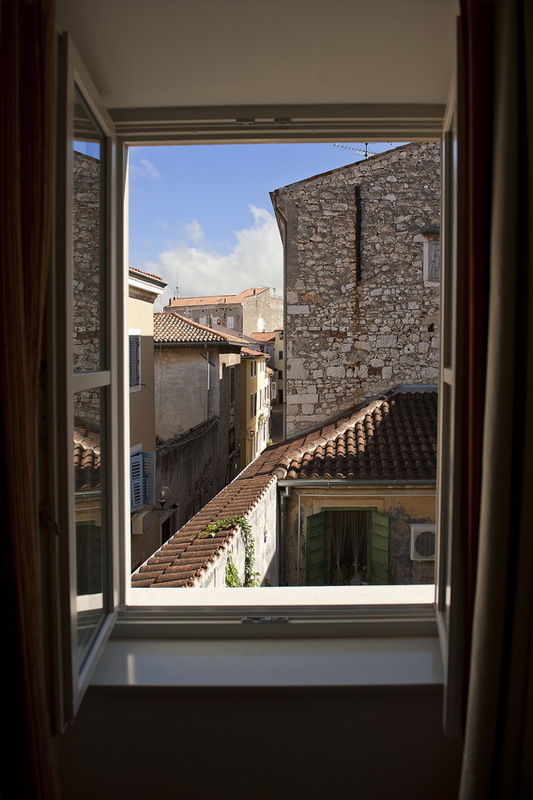 Below the window there is a beautiful passage dating back to the 19th century that connects the historic Old Town to the waterfront. 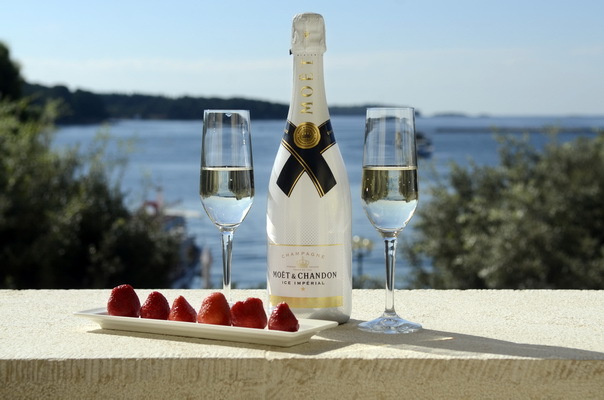 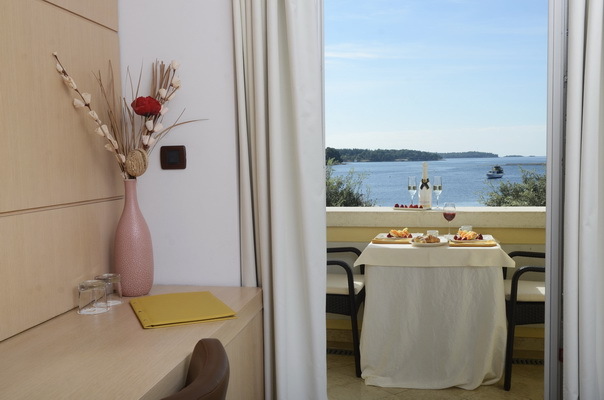 The Premium room will give you firsthand experience of Poreč and the town’s charming atmosphere that will win you over at first sight. 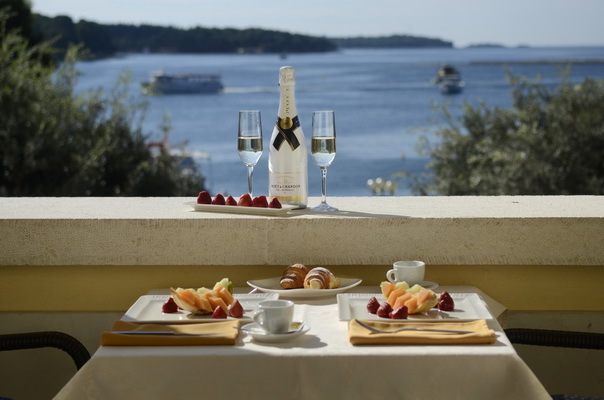 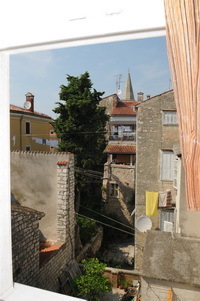 You will enjoy the view of the historic Old Town, the beauty of Poreč’s alleys and the city church-tower. 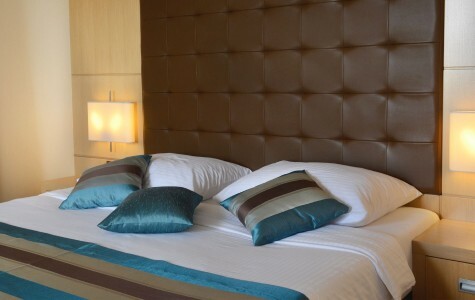 The Premium rooms, 23 square meters in size, are comfortable, equipped with the newest smart room technology, LCD TV, air conditioning, safe-deposit box, mini-bar, comfortable king size beds and elegant bedding. 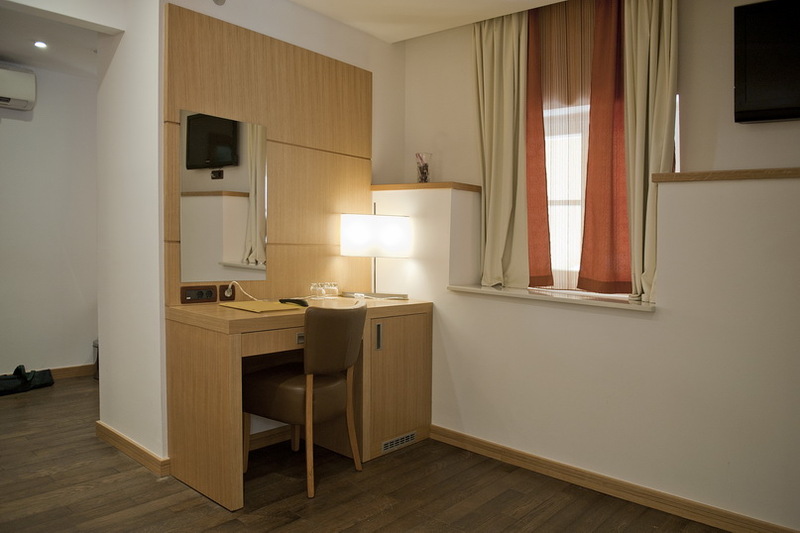 All furniture is made of oak. 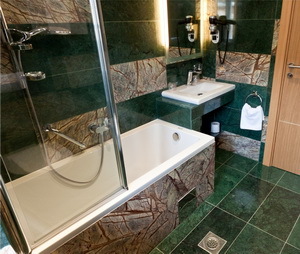 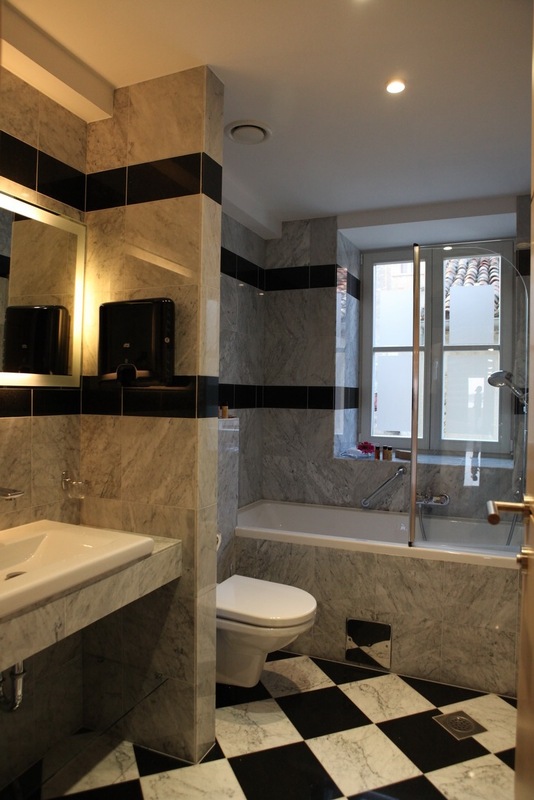 Bathrooms are decorated with marble of various colours. 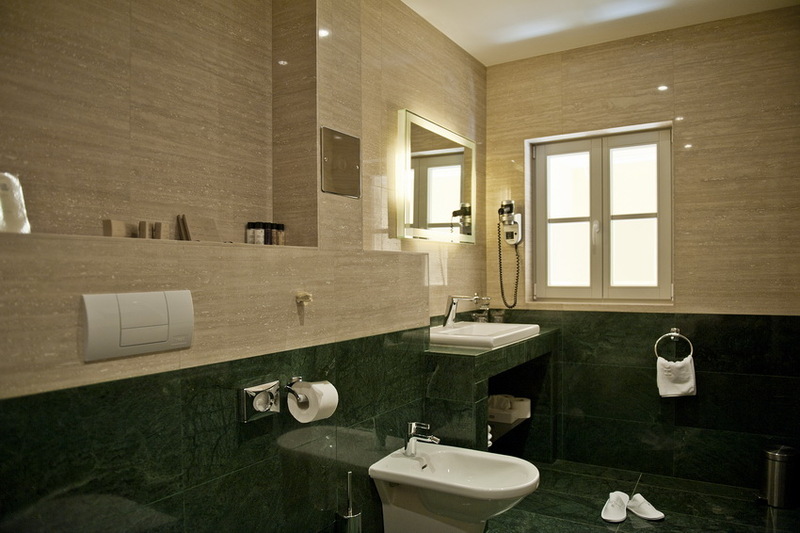 Large and spacious bathrooms come with hairdryer, cotton towels, and the complete hygiene kit to make your sojourn as relaxing and as comfortable as possible. 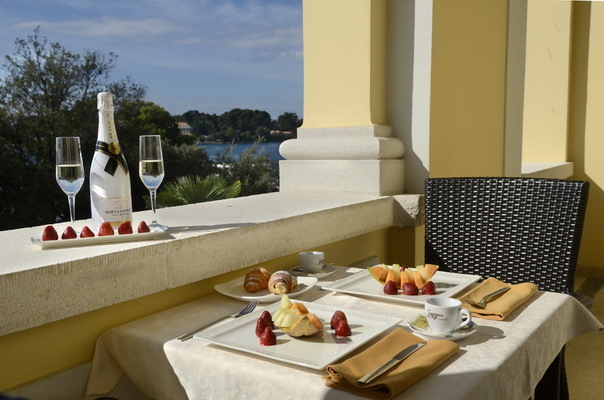 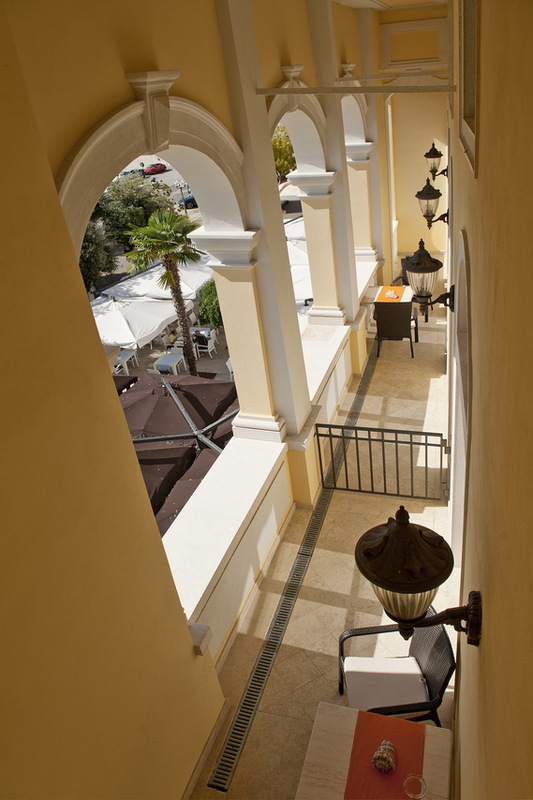 Our Superior rooms with French balcony have direct view of the sea, the waterfront and the island of St Nicholas. 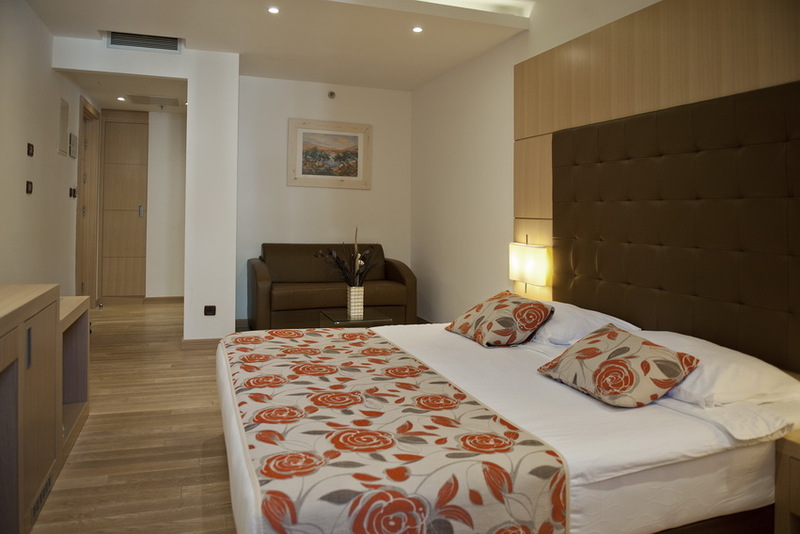 The rooms are 32 square meters in size and they are decorated with the highest quality natural materials such as oak wood and natural stone. 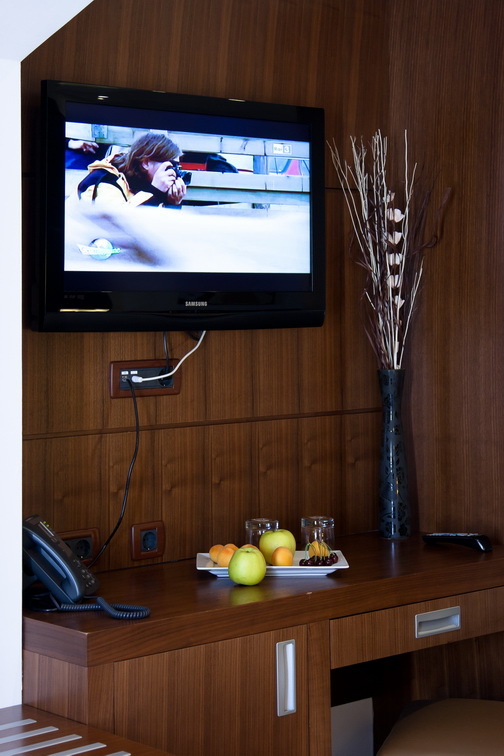 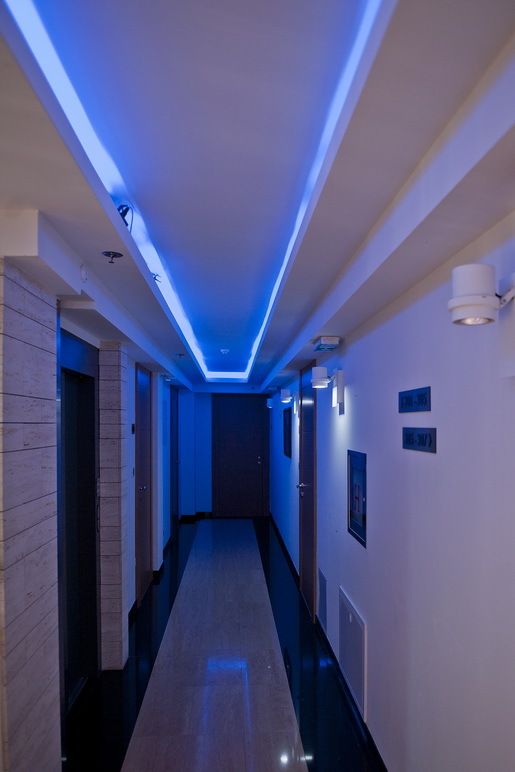 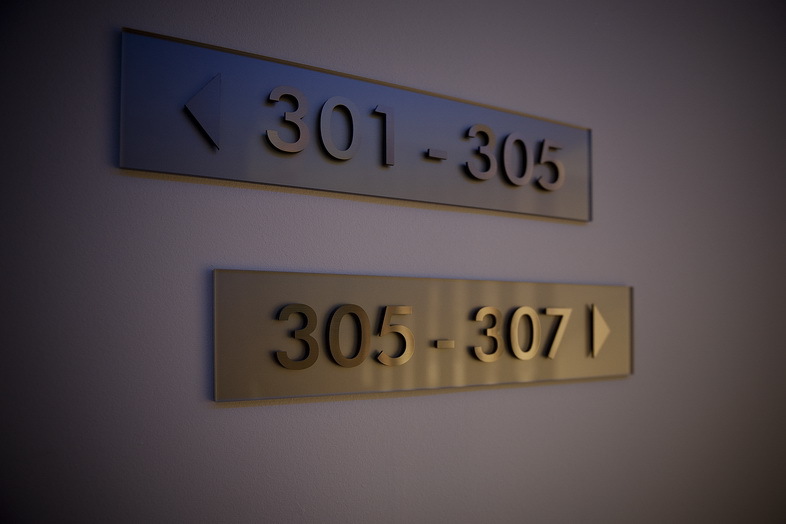 The rooms are equipped with the most modern smart room technology, LCD TV, air conditioning, safe-deposit box, mini-bar, direct telephone line and slippers with the hotel logo. 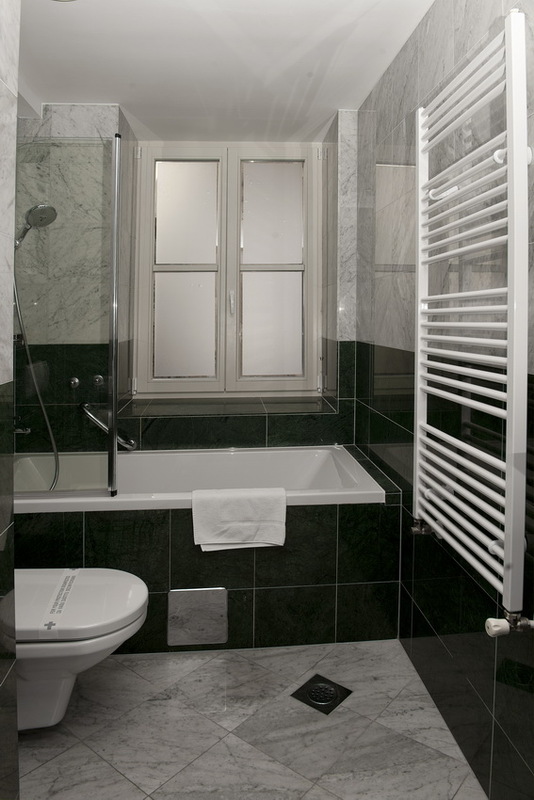 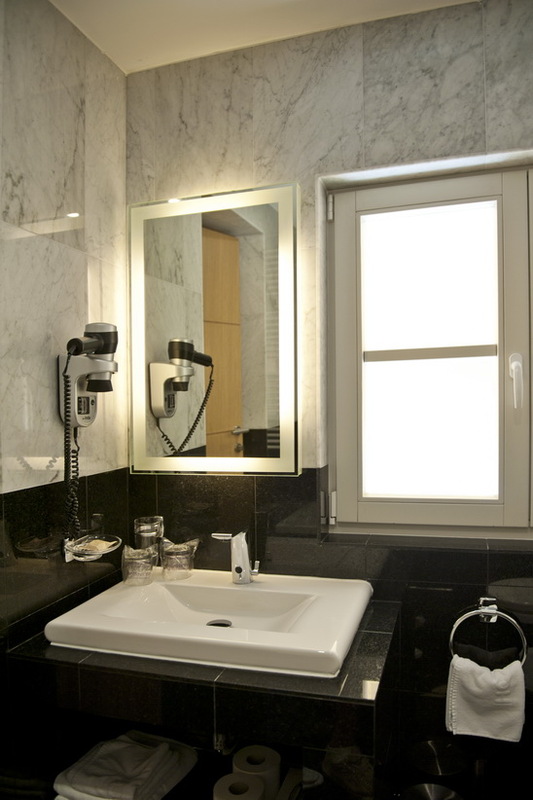 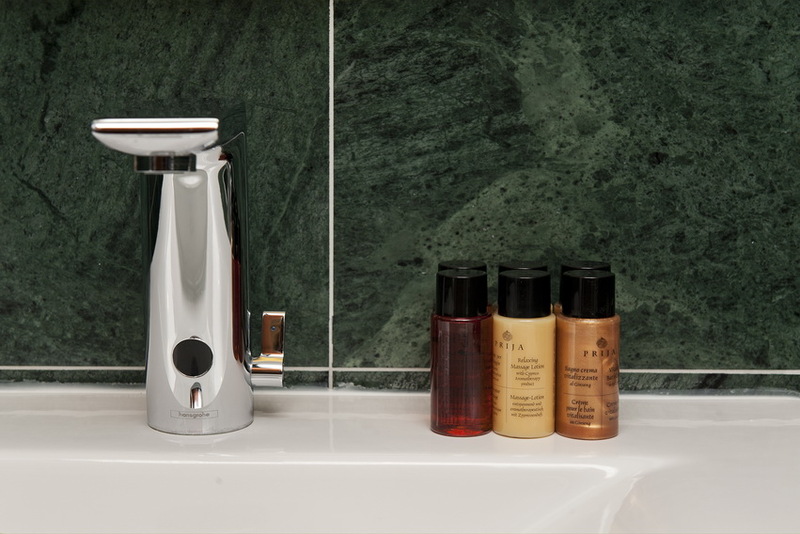 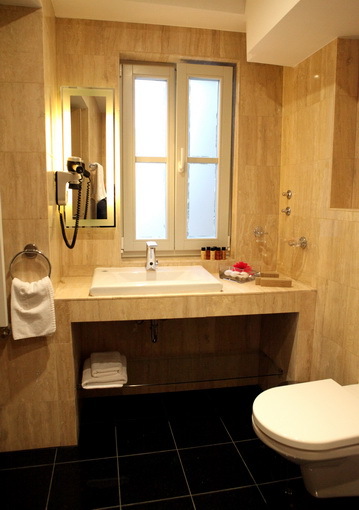 The stylish black and white bathrooms come complete with the special hotel cosmetics set Prija.